Whatsapp is one of the most popular instant messengers. Almost one billion people from different countries actively use it. At the same time every single day this application is downloaded and installed by thousands of people around the world. Many of them have difficulties or questions related to the installation procedure. So, we decided to tell you how to install WhatsApp on iPhone properly and easily. What is important to know before installing WhatsApp on iPhone? Let’s start with the fact that the owners of the old “apple” smartphones may not start this messenger on their device. WhatsApp requires iOS 7 and newer versions. Thus, the application works only on iPhone 4, 4s, 5, 5c, 5s, etc., devices with iOS 8, 9, 10 and 11 (they are iPhone 6, 6s, 6 plus, 6s, 7 etc.). WhatsApp will not work on the iPhone 3GS anymore. Even if you find and download the old version of the messenger, then when you try to activate it, the system will indicate that you need a more recent program. It is possible to talk about all the advantages of the program for a long time. We’ll mention only that this messenger allows you to exchange messages, various information, including audio and video files, as well as make calls. And all this is completely free. However, in order to take advantage of all the functions of WhatsApp on your iPhone and dive into the world of unlimited communication, you need to install the application correctly. 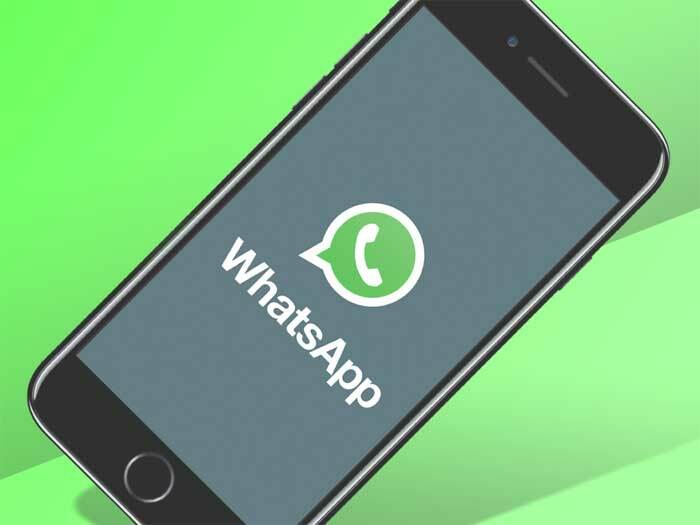 So, do not hesitate and move on to how to install WhatsApp on iPhone. Don’t worry this procedure is simple and doesn’t require any specific knowledge. Type the name of the program in the special search window. Also, WhatsApp can be found in the section Top Free. Definitely, choose the messenger because the search results can offer other applications containing the word “whatsapp” in the title. Download the messenger and wait for its completion. It usually takes less than one minute at a sufficient Internet speed. Run the installation. This operation requires even less time than receiving the source file. Then open WhatsApp. A window with a link to user agreement will appear. To study it or not is up to you. All you need is to click the “Accept and continue” button. Then you need to complete the registration procedure. To do this, enter your phone number and wait for the message with an activation code. Then enter it in a special line. It is necessary to note that it’s impossible to install WhatsApp in the manner described above to the so-called “Chinese iPhone” (various copies of the original Apple product). Such a device is incompatible with AppStore and iTunes. You can run it on it only by downloading it from a PC or laptop via a cable. And the Chinese iPhone should still support Java applications. So, everything about the installation of the messenger is figured out. Now let’s talk about how to set up the WhatsApp to use it as conveniently as possible. Go to the profile settings and add the photo to the avatar. You just need to click on the pencil icon in the lower right corner. After that, a gallery where you can upload your favorite photo or picture will open. Limit access to personal information. Again, go to the profile settings, and find the Privacy item. Here you can check who will see the date the user last logged into the messenger, photos, statuses, payments and much more. That is, the user can hide what he wants from visitors to his profile. Also, this paragraph contains a special function that allows you to block an obsessive and undesirable interlocutor. Configure the interface. Go to Chats and Calls settings. Here you can “fit” the fonts and their size to your liking, set the length and width of the screen, the options for wallpaper, and so on. Set an individual melody for notifications. It is really very convenient because after putting the original sound, you will be less confused and know when the message came to your colleague, husband or wife, and when to you. In addition, in the Notifications section, you can configure pop-up windows, enable/disable vibration, and select the color of the indicator (if it exists on the smartphone). For your reference! If after using WhatsApp application on the Apple smartphone, you decide to open it on the device with the Android OS, then most likely all old contacts, chat rooms, history of the correspondence and so forth, won’t be transferred. Even though the account has remained the same.